With an overflow in the amount of information that is readily available to us as readers due to the advancement of technology, it may be difficult to understand the facts that are presented to us as consumers of the news. 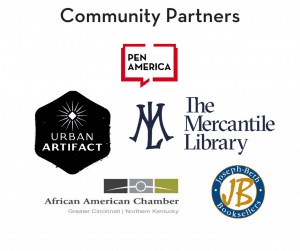 Urban Artifact located in Cincinnati, Ohio, hosted an in-depth discussion about censorship, news literacy, and the importance of fact-checking with locally based writers and authors. 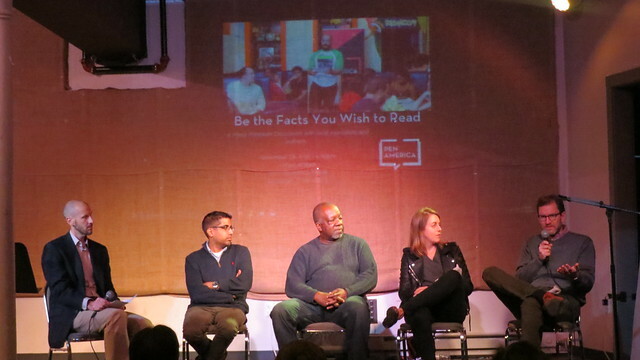 Panel members for this conversation included Jay Stowe and PEN America Members Jenn Bishop, Tyrone Williams, and Sridhar Pappu. This panel will be moderated by Mike Canan (WCPO-TV). When it comes to fraudulent news, you have an active role to play. After this evening, participants were able to take the steps necessary to understand how you can speak up for press freedom and learn to engage in productive dialogue. 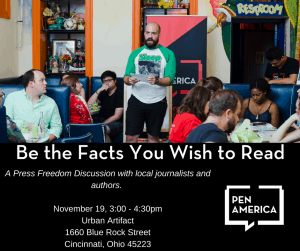 This event was made possible by PEN America’s Press Freedom Incentive Fund, which was designed to support activities that engage and stimulate press freedom advocacy. For more information on the Press Freedom Incentive Fund, click here. Sridhar Pappu is the author of The Year of the Pitcher: Bob Gibson, Denny McLain, and the End of Baseball’s Golden Age for Houghton Mifflin Harcourt. Sridhar currently writes “The Male Animal” column for The New York Times. He began his career as a feature writer for the Chicago Reader and has served as a columnist at The New York Observer and as a correspondent for The Atlantic Monthly. In addition, he worked as a staff writer at Sports Illustrated and The Washington Post. His work has appeared in numerous publications including New York Magazine, Fast Company, Mother Jones, and Men’s Journal. A native of Oxford, Ohio, and graduate of Northwestern University, he currently lives in Brooklyn. Jenn Bishop is the author of two middle grade novels, 14 Hollow Road (2017) and The Distance to Home (2016), both published by Alfred A. Knopf / Random House. The Distance to Home has been named a Junior Library Guild selection and a Bank Street College of Education Best Book. The Massachusetts native is a former youth and teen services librarian, an avid Red Sox fan, and a graduate of the University of Chicago. She currently calls Cincinnati home. Tyrone Williams teaches literature and theory at Xavier University in Cincinnati, Ohio. He is the author of several chapbooks and books of poetry. Find his website here. Jay Stowe has served as an editor and writer at Smart, Esquire, Spin, The New York Observer, and Outside. From 2004 to 2017, he was the editor-in-chief of Cincinnati Magazine. He currently lives in Cincinnati with his wife and daughter. Mike Canan is the current editor of WCPO.com, a unique and innovative digital news operation at WCPO. WCPO is the first local TV station in the country to develop a paid content and rewards membership model. Prior to working at WCPO.com, Canan served as the managing editor for Scripps Treasure Coast Newspapers, running the day-to-day operations of the newsroom. Canan is a graduate of Ohio University and holds a bachelor’s degree in Journalism.